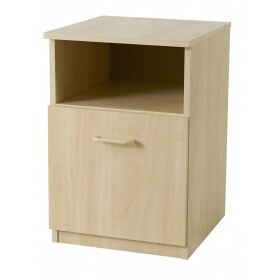 Maple woodgrain colour tall bookcase.Supplied assembled for fast,versatile storage solutions.Great prices and FREE delivery. 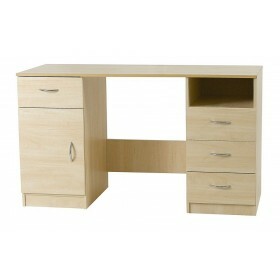 "Pre built range of tremendous budget furniture. Glued and dowelled for extra strength.Modern silver handles throughout the range." 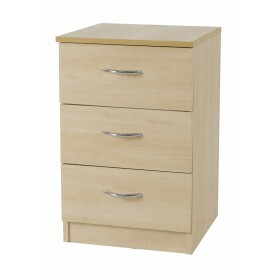 Light maple colour woodgrain bedroom furniture. Assembled pieces dowelled, glued and clamped.